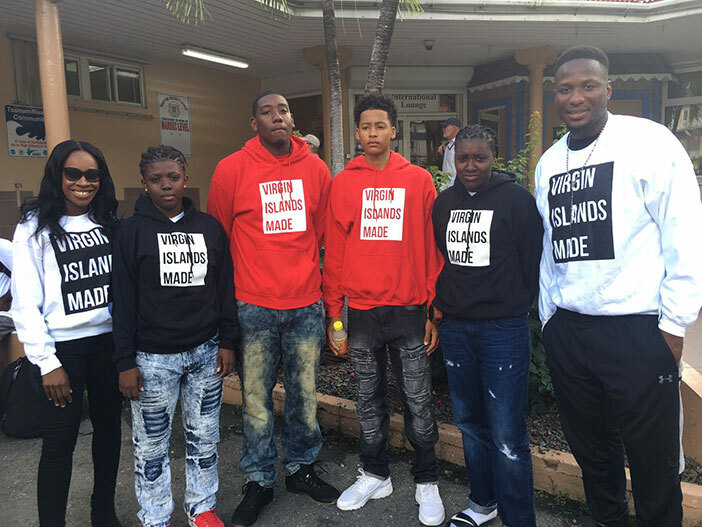 Four young BVI basketball players are currently immersed in an NBA Authentic Experience in New York, that runs through Sunday and they had the experience of seeing NBA Champions Cleveland Cavaliers playing the New York Knicks in Madison Square Garden on Wednesday night. Digicel Brand Ambassador and Coach Jason Edwin and Public Relations and sponsorship Executive Katasha Melville, are with Omar Walker, Demoi Bradley Mahkayla Pickering and Shauliqua Fahie on the trip where they joined counterparts from Antigua and Barbuda, Bermuda, Turks and Caicos Islands, Trinidad and Tobago and Barbados, who earned the other spots. The players who left on Tuesday and were welcomed to New York by BVI Tourist Board officials Hazel Penn and Shonda Maduro, are among the top 13 of the 63 players from nine Caribbean countries, that participated in the Oct 7-9 Digicel NBA Elite Camp on Tortola and advanced to New York adventure. The players toured Madison Square Gardens, the NBA offices, an NBA store and will visit an Adidas store and take in the Broadway show, Lion King. Following last year’s NBA office visit, Edwin said he was overwhelmed with the amount of work that goes on behind the scene. He said that a lot of things we take for granted flipping the dial watching a game, the tour was a unique experience. The players participated in series of practice sessions and they will be engaged in scrimmages, where the Girls will play Rutgers Prep School Freshman Girls and the Boys will face Rutgers JV/Varsity Boys on Saturday. From the initial clinic in September through the Elite Camp in October and the scrimmages, Edwin said at this age, they are seeing how they will be evaluated if they go on to high school in the USA, college or being evaluated against other players in the combine, by their vertical, how well they run the 40 yards and how tall they are among other things. “They’re are now going into whatever selection camp where they have to prepare, whether its to get stronger in the weight room, working on their outside shot, ball handling and shooting—all the all those things come into play when they are in the selection arena,” he said. Digicel marketing manager Kareem Hull said that partnering with the the NBA has been something great to be a part of. He added that initially, they weren’t thinking of hosting the local camp because it’s a lot of work for three people in marketing, until the elite camp was offered.